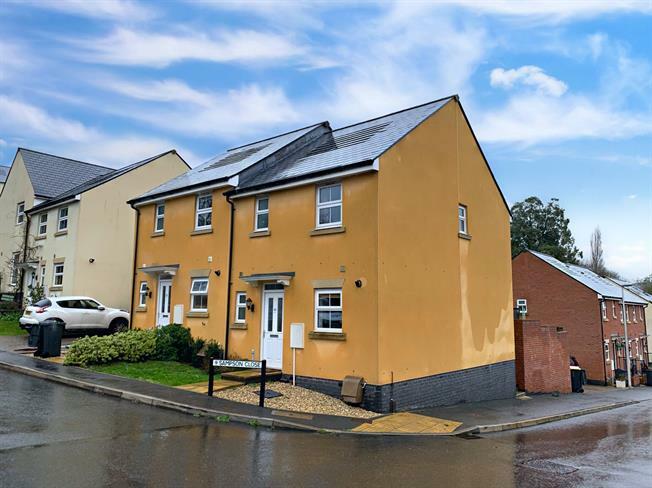 3 Bedroom Semi Detached House For Sale in Sidmouth for Asking Price £260,000. To the front is a gravelled area with paved pathway to the property. To the rear, the garden has been attractively landscaped with timber decked patio and lawned garden with pedestrian gate and brick paved driveway to the rear for 2 cars.